The bathtub ring in Lake Powell in October 2014. Today, the reservoir is under 40 percent full and water managers in Colorado, Utah, Wyoming and New Mexico are working on demand management programs that would reduce water use and send more water to the big reservoir that sits on the mainstem of the Colorado River. FORT COLLINS — The directors of the Colorado Water Conservation Board voted Thursday to start exploring the feasibility of a demand-management program as part of a larger effort to manage falling water levels in Lake Powell and Lake Mead and avoid violating the Colorado River Compact. Basalt resident Gail Schwartz, a former Colorado senator sworn onto the CWCB board Wednesday, said the effort to develop a demand-management, or water-reduction, program was “equally as large in concept and far-reaching” as developing the state’s 2015 water plan. “This is a statewide conversation,” said Schwartz, who spent eight years working on water bills while on the Senate’s agriculture, natural resources and energy committee. And Schwartz encouraged CWCB staff to find ways to involve citizens outside of the professional water-management sector in developing the plan. “I think the whole state needs to have an opportunity to weigh in,” she said. To fund the demand-management feasibility study, expected to take until at least January, the state budget bill now includes a $1.7 million line item. A Thursday memo from CWCB staff and the state Attorney General’s Office said a demand-management program was part of an effort to avoid “mandatory” cutbacks in water use. “The term ‘demand management’ loosely refers to the intentional conservation of water for the purpose of helping assure compliance with the Colorado River Compact, and in so doing, avoiding the need to implement mandatory water administration strategies to fulfill the Upper Basin’s compact obligations,” the memo said. The demand-management study effort is in addition to the ongoing effort by CWCB staff to update the 2015 water plan. A technical update of a 2010 water-supply study is due this summer from CWCB, and there also is a $5 million effort planned to update the plans and project lists in each of the state’s river basins. Brent Newman, the CWCB’s section chief for Colorado River issues, said he would begin the demand-management effort this week by setting up dates for workshops on the topic and developing lists of experts to serve on small work groups. But he emphasized that starting an investigation of demand management is different than implementing the program. Newman said a project team would be formed to guide the demand-management study, with representatives on the team from the CWCB, the Attorney General’s Office, the state’s Department of Natural Resources and Division of Water Resources, and the Upper Colorado River Commission. Also, eight work groups of selected experts will be formed to look at demand management from various perspectives: law and policy, monitoring and verification, water-rights administration and accounting, environmental considerations, economic considerations; funding, education and outreach and agricultural impacts. Information from the work groups will then be shared with the various basin roundtables and the public, he said. A hayfield near Grand Junction irrigated with water from the Colorado River. 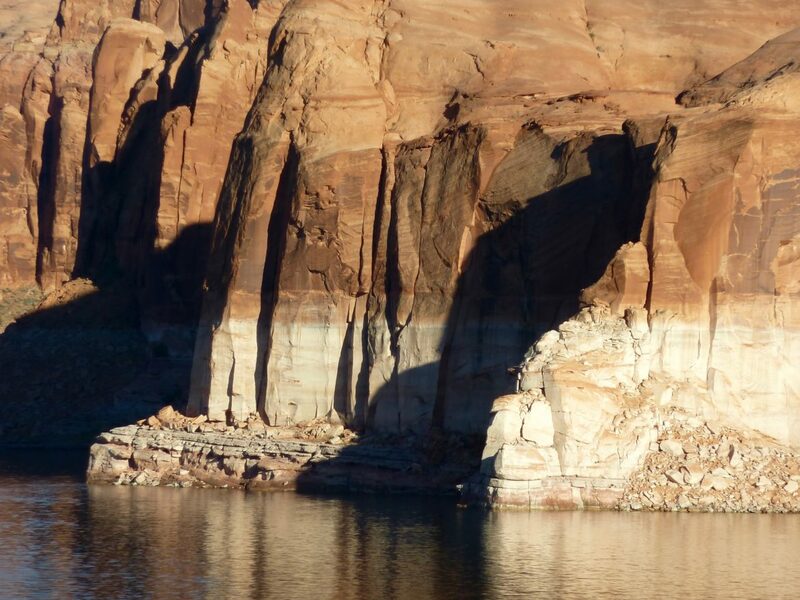 State officials are now exploring a demand management program that would pay willing irrigators to fallow hay fields and send the water otherwise use to Lake Powell. The state’s emerging demand-management program is tied to a seven-state drought-contingency planning effort, which is to be presented to Congress this week. James Eklund, the commissioner for Colorado on the Upper Colorado River Commission, is scheduled to testify Thursday on the drought-contingency plan before the House Subcommittee on Water, Oceans and Wildlife. Reclamation Commissioner Brenda Burman also is slated to testify at both the House hearing, as well as at a Senate subcommittee hearing on the drought plan Wednesday. The seven states want Congress to approve a short piece of legislation authorizing the Interior secretary to implement the drought-contingency plan “in order to respond to the historic drought and ongoing dry conditions in the basin,” according to a March 19 letter sent to Congress by representatives of the seven basin states. If the federal legislative effort is successful, the states will still need to finalize and sign the drought-contingency planning documents and agreements. There are different sets of DCP agreements in the upper and lower basins. In the lower basin, agreements define how the lower-basin states of California, Arizona and Nevada will cut back on water use to maintain water levels in Lake Mead. In the upper basin, agreements create a new regulatory pool of water within Lake Powell where water saved through demand management can be stored to be used as needed by Colorado, Utah, Wyoming and New Mexico. The upper-basin agreements also allow for water stored in Flaming Gorge, Blue Mesa and Navajo reservoirs to be released to prop up water levels in Lake Powell. In November, the CWCB adopted a demand-management policy stating that such a program would be voluntary, temporary and compensated. The water savings would come, in large measure, by paying willing irrigators to fallow hayfields and let water that would otherwise have been consumed run down the Colorado River system to Lake Powell, which is less than 40 percent full. Eklund, the former director of the CWCB, said he understood that the state’s study of demand management may take a year or more to complete, but he said despite this winter’s good snowpack, renewed drought and falling reservoir levels may still force the state’s hand. Editor’s note: Aspen Journalism covers rivers and water in collaboration with The Aspen Times, the Glenwood Springs Post Independent, the Vail Daily, the Summit Daily and the Steamboat Pilot. The Times and the Post Independent published the story on Monday, March 25, 2019.